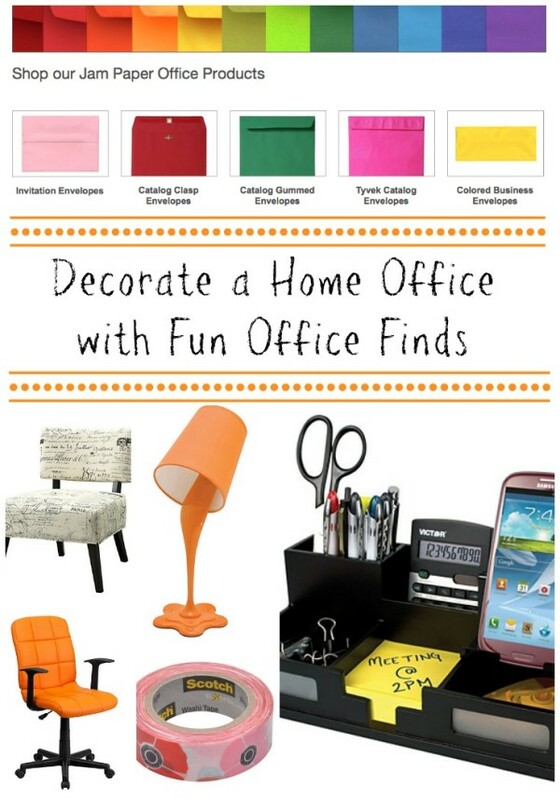 This decorate a home office with fun office finds is sponsored by Quill and SwayyEm. All opinions are 100% my own and may differ from yours. I will only endorse companies, products and services that I believe, based on my own experiences, are worthy of endorsement. We are adding a sun room onto our house and initially it was going to be a, well, sun room. However, I really want a new office space. So now that I’m going to have a home office, I have to think about how I’m going to decorate a home office. I’m thrilled to have not only a place for a desk and office supplies, but a place for my blogging props, backgrounds, photography lighting, etc. With all the windows it will be perfect for taking photos for my blog. I really am excited! While looking for ideas to decorate a home office, I’m thinking something fun to fit my personal style would work. I was looking at the “Fun Office Finds” at Quill.com for inspiration and I am definitely inspired. I’m more of a traditionalist when it comes to home decor, but I would like to have more fun with my home office space. I have a desk but I need a new office chair. I want something comfortable but functional. I also want something fun. Nothing dark, blah, and boring. Maybe a pop of color! Now to decide whether I want blue – Go Wildcats! or orange – Go Vols! I need an accent chair and a place for my husband or visitors to sit. I want something neutral but unique and fun. 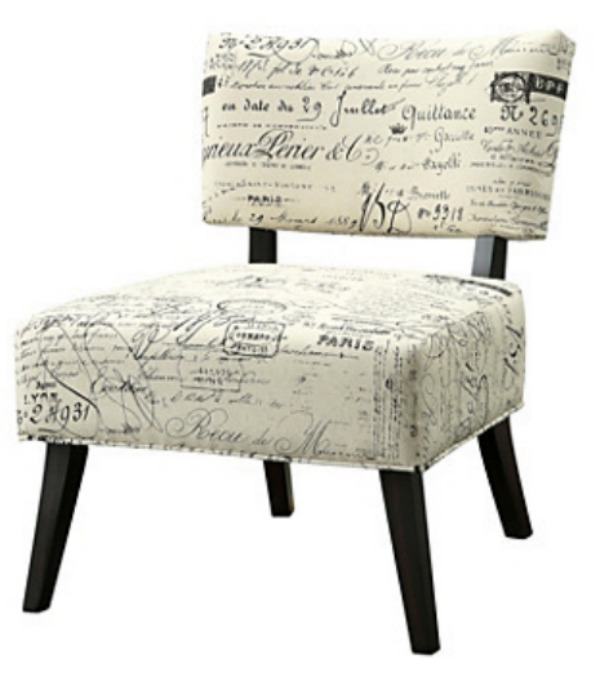 I really like this Script accent chair. I think it will make a great addition to my home office. 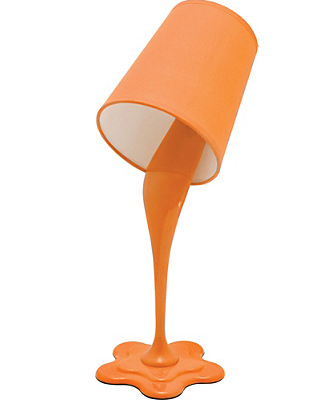 I fell in love with this desk lamp! It’s so stinking cute and would make a great conversation piece, too. It would go with the orange office chair and a good color to complement the blue chair if I go with the blue office chair. Right? With Scotch® Expressions Tape Projects I can make my office unique by using Washi Tape to make a vision board or my own one-of-a-kind wall hangings. No home office is complete without a desk organizer. They are a must for me… I like to say I’m the most organized, unorganized person I know. Let’s just say I can use all the organizational help I can get. From cardstock colored paper (perfect for all the blogging printables I print out) and printer paper to business card holders and envelopes, all your office paper goods will be complete with Jam Paper office products from Quill. These are just some of the things I’ll need to decorate and stock my home office with when we get my sun room office finished. What are some must-haves for your home office? Scotch is coming out with so many great washis and the craft possibilities are endless. I’ll have to hop over and check out your washi vision board. Sadly, my “home office” is my sofa and a small folding table. I used to have a real one and loved it. I am hopeful to have a real office again in the future and will be using some of these great examples of things to buy! I love the colorful chairs the most. I really like that spilled paint lamp. All these ideas are great. Offices do not have to be boring spaces. I love that accent chair! I remember seeing on at Ross. I’m going back to see if I can find it…your post gave me a sign that I need to buy it, ;). At least that’s what I’m telling the hubs, lol. That spilled paint lamp is pretty awesome. So different and creative, it would for sure get people talking! I am on mission organize my house. It is a long time coming and taking a long time. The lamp looks awesome! My home office needs a little decorating too. A little investment would help those creative juices flow. Thanks for the ideas! I wish I had enough space in my house to enjoy a home office. These are great ideas for decorating one. I need a new chair… those ones look interesting enough. My DH has a home office. My office is my couch. 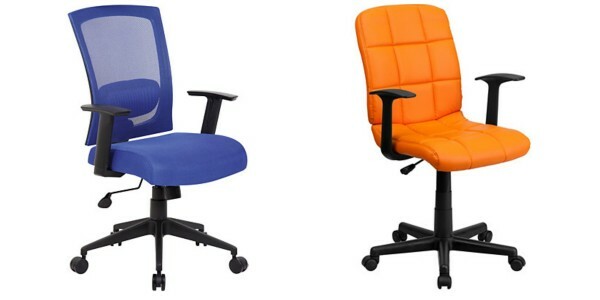 However, if the home office was mine, I would definitely have the orange chair.